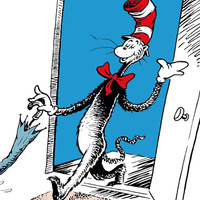 From the moment his tall, red-and-white-striped hat appears around the door, Sally and her brother know that The Cat in the Hat is the funniest, most mischievous cat that they have ever met. With the trickiest of tricks and the craziest of ideas, he is certainly loads of fun. He turns a rainy afternoon into an amazing adventure… but what will mum find when she gets home…? Recommended for audiences ages 4 and up.